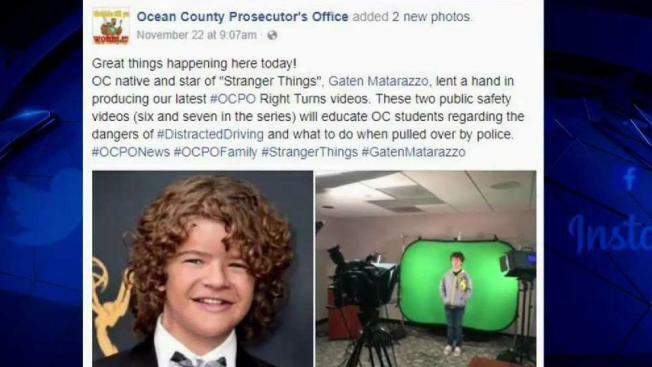 Stranger Things star Gaten Matarazzo came back to his hometown of Ocean County to help the police department film warn against distracted driving. "Stranger Things" star Gaten Matarazzo has a starring role in videos promoting safe teen driving in his native New Jersey, even though he's not old enough to get behind the wheel himself. Prosecutors in Ocean County, New Jersey, have signed up Matarazzo to play a role in their "Right Turns" public safety videos. The 15-year-old plays the character Dustin in the sci-fi-horror Netflix series. He will appear in videos that address distracted driving and how to interact with police during traffic stops. First-time drivers in New Jersey have to be 16 in order to get a learner's permit. The prosecutors' office says Matarazzo worked on the videos last week. They will be shown in local high schools. 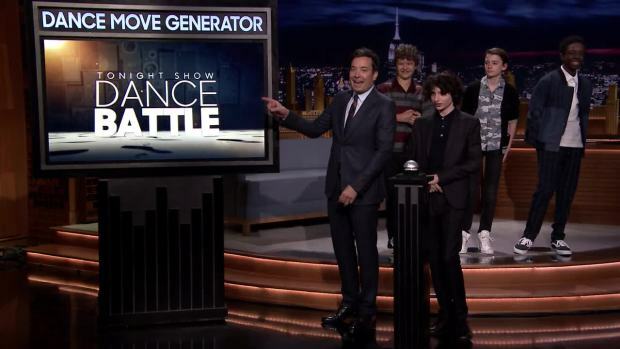 "Stranger Things" stars Finn Wolfhard, Gaten Matarazzo, Caleb McLaughlin and Noah Schnapp go toe-to-toe in a dance-off. Matarazzo is a native of Ocean County's Little Egg Harbor Township.